HS2 is currently being debated in parliament. Even though there is strong opposition to it and it has been flagged up as a red/amber risk as to whether it will provide value for money by the parliamentary watchdog, there is a strong feeling that it may still be pushed through. We have to be prepared for this eventuality, so whilst we remain resolutely opposed to the project we need to try to mitigate its effects locally. The rail link through South Ruislip is currently planned to be in a tunnel which reduces much of the blight that would have been experienced by an over ground option. What many in the area may not be aware of is that to enable the tunnel to proceed a number of major works must be carried out to the local services such as sewerage and water systems. These works will create major disruption for long periods of time. They will be mainly centred on West End Road, Station Approach, Long Drive, the green area adjacent to Bridgwater Road and Victoria Road. The Victoria Road effect will be from the construction of a vent shaft behind the old Focus building. 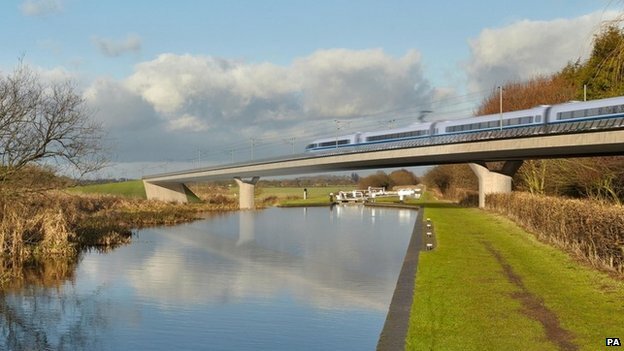 A petition process was announced by HS2 which gives individuals, associations and businesses the right to petition parliament to seek ways to mitigate the local disruption. SRRA has submitted a petition on the residents behalf and while we clearly stated that we remain opposed to the project we requested that when these works were carried out they must not be scheduled simultaneously, access to shops, businesses and residential properties must be available at all times etc. We received a great deal of help from the council’s personnel in ensuring that our petition was presented in the correct format and for that we thank them for their assistance. A copy of the mandate signed by committee members following the AGM and the petition are on the website. [Ed: Clicking on the links will download the documents in Word format to your browsing device]. One key issue for us in South Ruislip at the moment is the building on the ARLA site. The majority of the residents, local councillors and the committee of the SRRA are in favour of the new shopping facilities and housing being built. There are plans for a new supermarket, ASDA, a cinema, housing and family restaurants. Those against speak in particular of the concerns with traffic. Our argument is that there will be more traffic anyway and counter peak traffic won’t be as detrimental as traffic at peaks such as if the site was all housing. Besides we like the idea of competition with Sainsburys. If you have a point of view on this issue you are always welcome to leave a comment below or attend the planning meeting when it takes place or write to your councillors with your viewpoint. The consultation process has finished now, but details of the plan can be found here on Hillingdon’s planning portal. A decision is due by 05/08/2014, but often they take longer subject to the timing of the next available major planning committee meeting. The developers website can be found just here. Our last website’s server has packed over the last week so we are starting afresh with the website. So welcome to the new face of SRRA online. We will add more information over time as we rebuild the site.